The “now” generation expects much from Insurance today: comprehensive choices, efficiency, flexibility, and speed-of-delivery. The global obsession with the digital world means that customer experience in insurance is no longer judged in a vacuum – against other insurance providers, but rather against other digital service providers. And, accordingly, to compete, insurance companies must focus on delivering CX in more intuitive and innovative ways. Why CX is so important to the insurance industry right now. The role of key CX ingredients of digitization and automation have on claims processing. 9 CX Interventions your Insurance business can implement today. Insurance businesses have traditionally had limited direct customer interactions. They might have been limited to an occasional ad mailer or renewal notice, with a couple emails dropped in. Today, this fails even the most basic customer experience. In today’s digital environment, insurance players must harness new CX standards to find ways to effectively meet consumer expectations – especially during the underwriting and claims process. 81% of companies expect CX to be the key battleground in the race for market dominance. Meanwhile, a McKinsey study shows that a whopping 70% of consumers base their opinion of a business on the quality of its CX. The importance of customer experience is true across product and service categories, and even more so when providers are selling intangible benefits- like in Insurance industry. With the advent of digitized technology, the claims process can be completely reinvented. Claims processes can be digitized, accelerated and automated. While insurance companies have started to address many of their core systems, claims processing is is the most difficult, and important processes to reimagine. You may have already automated premium payments, quote generation, and policy renewals. But have you considered digitizing the entire claims process? Digitization effectively shifts the focus from antiquated, manual processes to consumer-focused, digital processes. McKinsey estimates that P & C and life insurance carriers derive about 30-40 % of business costs from the top 20-30 core end-to-end processes. Many of those core end-to-end processes live in the claims arena and are notoriously slow in digitizing, let alone accelerating. While digitizing claims processes provide basic savings, a Deloitte’s study on life insurance underwriting suggest that prospects are 20% more likely to purchase a life policy as the underwriting and application process gets closer to real time. The value of applying that process acceleration to claims processing is the biggest CX opportunity for insurance companies. So, what does the ideal CX claims processing look like? Instant, integrated processes enable claimants to complete claims on the first try (first call resolution). Insurers use simplified mobile-friendly claim forms and allow customers to attach supporting evidence with selfie-style pictures of damages. The mobile approach means that claimants in natural disasters or on the road can complete claim submissions on the spot. These solutions can be completed from any phone, anywhere – without downloading a clumsy dedicated application. Thanks to client-friendly workflows, claim processing can move swiftly between the claimant, agent and assessors towards adjudication and payment. Removing manual overheads and digital document processing ensures documents are complete and correct – removing rework and costly time from processing. More than 5 days are saved on claim payouts alone. Claims processes that are digitized, automated and accelerated, have clear benefits for customers and insurance businesses. Customers can file their claims, check the status of their claims, manage their policies and make decisions about their file easily. They can log on at a time of their choosing to receive personalized information and increase/decrease coverage as needed. For the insurance industry, they can ensure that claims are accurately and completely filled. They are automatically sent to assessors. Carry-on workflows can be triggered without manual intervention, and payment cycles can be expedited. Reducing the heavy costs associated with manual workflows and slow payments are clear wins for today’s insurance businesses. Those CX dreams may sound lofty, but there are many CX wins that are close at hand for insurance industry. Here are a list of 9 Insurance CX interventions your business can capitalize on today. Digital workflows and collaboration channels including, reviewing quotes, document completion, and eSignatures slash the transaction costs of all types of policies, especially P & C. Our customers estimate that Lightico’s eSignatures alone save $15 dollars per transaction in paper costs, faxing/scanning/emailing time alone – not including agent calling time. Purchasing insurance is a big deal, especially for customers who don’t see risk as an important element in their life. Therefore, customers are most inclined to purchase a policy when an agent is speaking with them to review the risk factors covered and the benefits of a policy. That makes it critical to complete documentation and signatures while you are speaking with a customer. Agents estimate that the likelihood of closing customers halves every few days. This underscores the importance of binding policies while you are speaking with clients. Eliminate errors and frustrating rework associated with sloppy paperwork. Use preconfigured smart eForms and guided eSignatures to eliminate errors like missing data and signatures. It is important to have the customer review information and input their own details as if they are on a website, without the clutter of PDF’s and irrelevant information. During the claims process, a policyholder is anxious to get payment as soon as they can, and Insurance companies want to reduce the time it takes to pay claims and limit ALE. By using having an agent talk through the process and allow the claimant to accurately fill out paperwork, take photos, verify ID, and submit payment details. Audited, court-admissible documented client interactions surpass ESIGN regulation and enable insurance professionals to execute binding policies with unparalleled simplicity: customers can sign policies from their mobile phone with their finger. Take advantage of agent-customer time by guiding the customer through required paperwork. 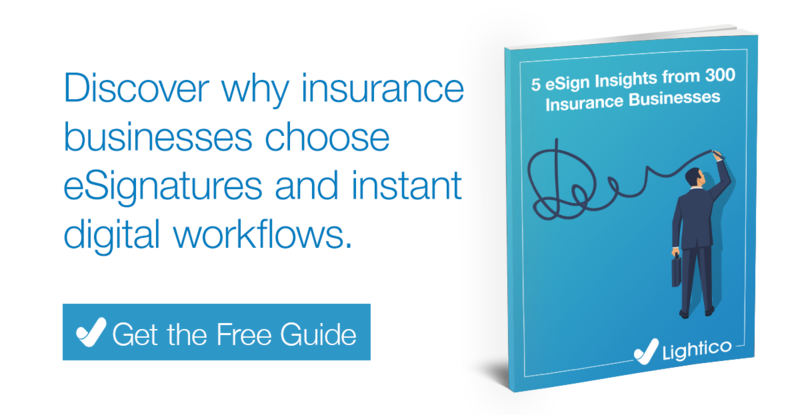 Use in-call tools that allow for eSignatures and documentation to simplify the work with insurance professionals. Customers are demanding this simplicity and ability to transact from their mobile phones. By providing solutions that exceed customer expectations, agents see improved retention and referrals. Help customers instantly complete and submit their forms to expedite forward processes. This speeding of processes shortens the time until agents receive their commissions, a paid agent is a happy agent! By using a digital collaboration toolset including built-in automation and workflows, agents can spend more time with customers and less time managing back-office paperwork, almost eliminating after call work. With customizable eforms and instant eSignatures, and simple payment solutions, agents can create and sign customers on policies and claims in real time. No call backs, scans or emails. Also, agents can use a collaboration portal to display and have the caller review any important documentation like terms and conditions. The portal then records a tamper-proof, audited trail that documents exactly where and when customers opt into coverage terms. Onboard clients who can’t get into your office. Manage onboarding remotely and ensure that you use facetime to build relationships. Speed & simplify documentation that customers can approve remotely which leads to higher efficiency, lower not-take rates and greater customer loyalty. According to the New Horizons report, insurance companies lag behind other industries in the realm of digital transformation. While 42% of respondents maintain that complex regulatory requirements are the biggest barrier to digitization in their companies. At Lightico, we boldly leverage digitization to help our customers increase revenues and reduce costs. Today, new digital insurance offerings are eating away at the market share of traditional insurers. So, there has never been a better time to invest. 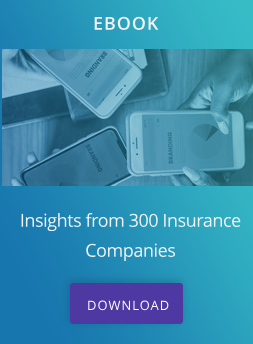 Lightico is an expert at delivering on the digitization and CX promise for insurance businesses. We are ISO 27001 certified and are in compliance with all insurance industry regulatory requirements. Our platform is secure, interactive, efficient, and convenient. So, each process and associated task can be completed on a customer’s first contact, from any channel and any location. We improve FCR (first call resolution) & NPS and utilize a mobile solution to deliver meaningful CX to your customers.